This entry was tagged Adria Arjona, ben affleck, Charlie Hunnam, cinema, Garrett Hedlund., J. 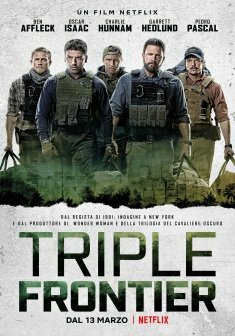 C Chandor, netflix, Oscar Isaac, recensione, Triple Frontier. Bookmark the permalink.